Talk about an after-school special! 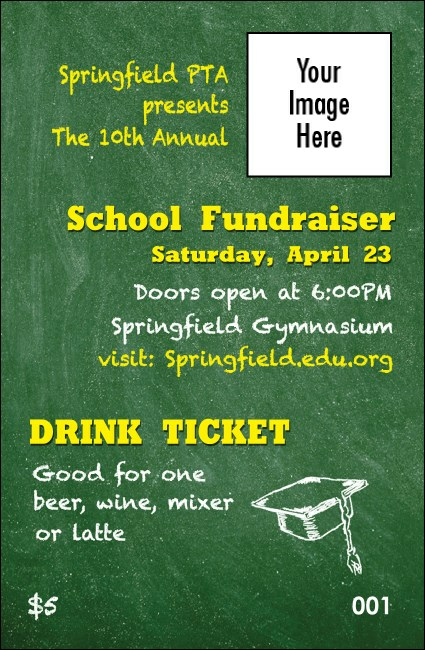 Help erase the everyday worries from your guests’ minds when you print Education Chalk Board Drink Tickets and hand them out at your next school fundraiser. These tickets feature a bold green background with room to upload your own unique image and thirteen lines of bright yellow text. Learn more about event planning at TicketPrinting.com.